Hanging Bag - 12xSalted 50g & 12xDry Roasted 50g. 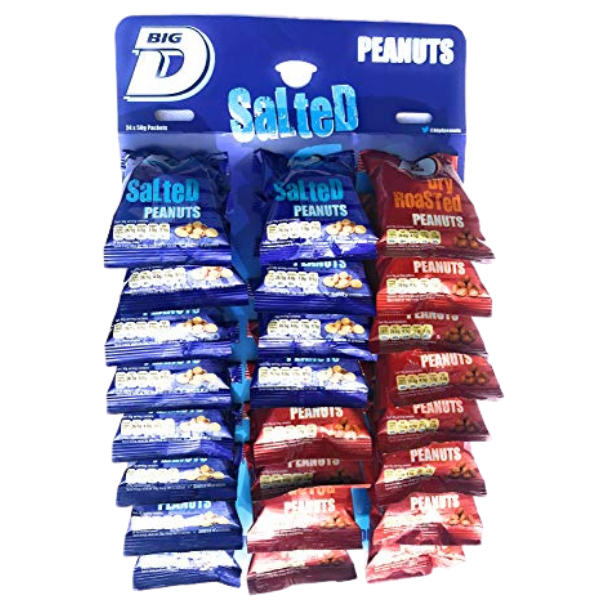 Mixed pack of Big D Nuts including 12xSalted 50g & 12xDry Roasted 50g. Big D Range also includes Salted, Dry Roasted, Chilli, Honey Roast and Salted Cashews.